Our favorite live-streaming app, Periscope, now offers a landscape view mode for broadcasters and viewers. Previously, only portrait-mode was available to live stream video. The new, highly-desired feature is available in updated apps for both iOS and Android devices. The change is also coming ahead of the newly announced Apple TV that reportedly has a Periscope viewing app. As we shared before (Broadcast Live From Your Phone), landscape mode is preferred for video viewing since it displays better on mobile devices, computer monitors and TV screens. Portrait video leaves black bars on each side of the video when displayed on larger screens. Check out our tip about taking better videos on your smartphone HERE. 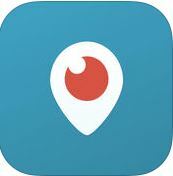 The Periscope for iOS devices can be found HERE and for Android devices HERE.